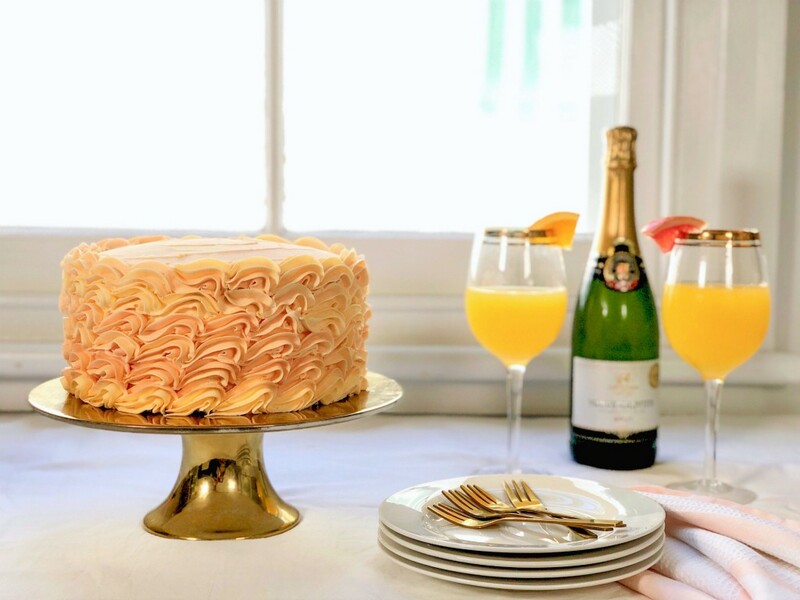 A fresh twist on the old Mimosa! It might be winter here in Australia, but it’s always a good time for Mimosas. If you follow me on Insta you’ll know I baked this cake for Mother’s Day brunch back a few weeks ago. I promise you though, it was worth the wait. The grapefruit in this is absolutely the star. I’ve never baked with it before this year, when I used this same curd for my Triple Citrus Mud Cake. Since then I’d been wanting to make a lighter cake with it as well because I think the flavour can definitely handle any kind of cake. This year I hosted my very first ever Mother’s Day brunch. Needless to say I was pretty excited, and terrified at the same time. 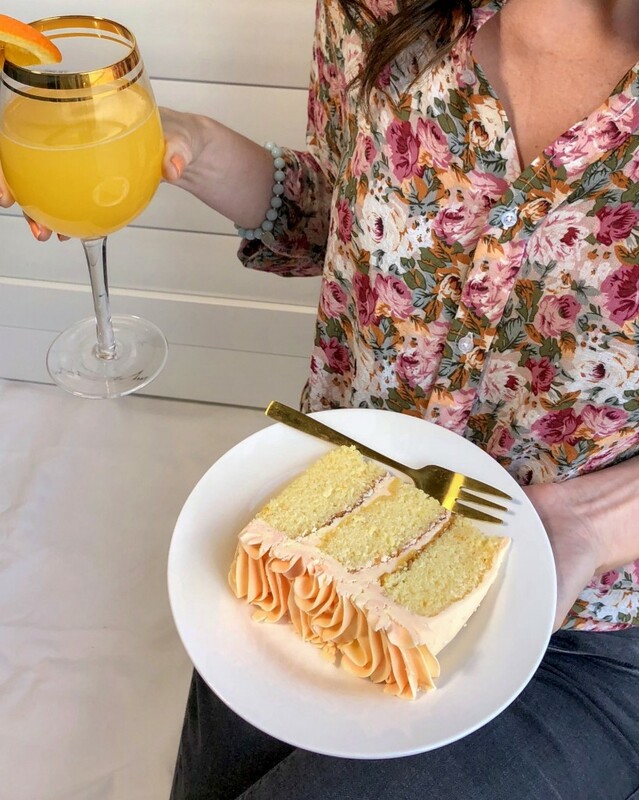 My parents came over, as did my sister and her kids, and we ate cake, cookies, and while I was the only one drinking the mimosas, the cake was demolished in record time. I kept the orange flavour in the cake and the curd, and just added in the grapefruit on top. Grapefruit has a beautiful tang to it, but the orange really mellows it out just enough. 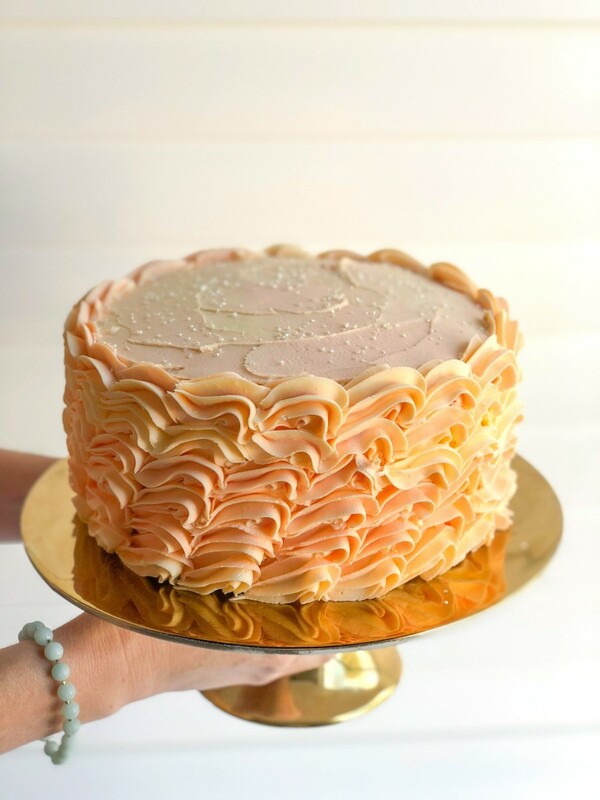 I made the buttercream white chocolate champagne because well, it’s my mother’s favourite icing, and also I loved how well the white chocolate mud cake had mixed with the citrus in the triple citrus cake. The result is a frosting that’s creamy and not too sweet. 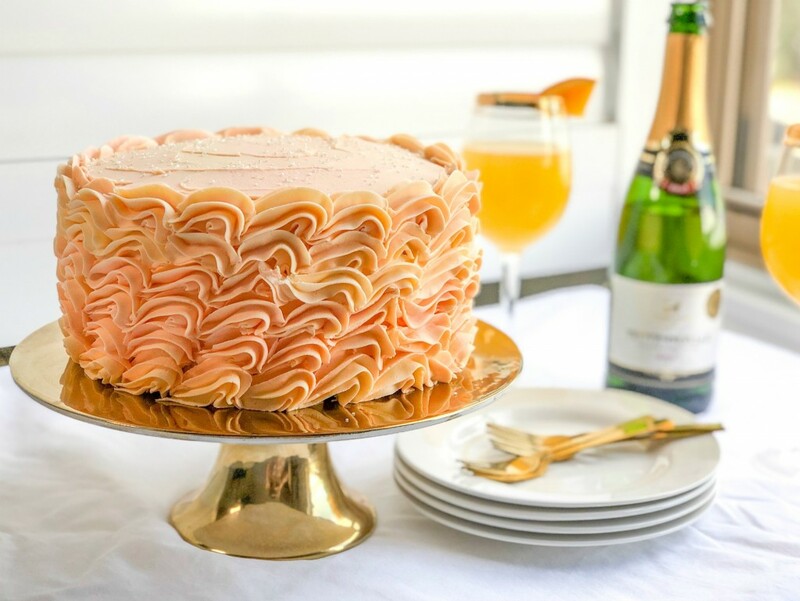 The cake sounds very grown up, but with champagne oil flavouring instead of the alcohol in both the icing and the cake, everyone can enjoy a sweet slice. I love a bit of champagne in my Pink Champagne Cupcakes, and they are definitely the fluffiest when they have the real thing. But in terms of flavour, I really like how subtle and almost berry-ish the oil is. It’s just lovely, and I highly recommend the oils from LorAnn. A few drops is all you need, so their little bottles last for ages. When it comes to decorating this cake, I divided the buttercream into three. One third is tinted with the slightest amount of Lemon Yellow food colour. I added two drops of champagne oil into that colour as well. Another was tinted a subtle Creamy Peach, and the third with Orange. I have never piped this pattern on the side of a cake before, but I absolutely will again. It was so fast, and yet it looks absolutely stunning. Also, it means you get a fair bit of that white chocolate buttercream on every slice, and too much is never enough when it comes to that frosting. Amount of sour cream? Looks heavenly..